FREE with Registration to the PCRID Annual Conference! Requests for registration refund must be in writing via email by December 5th. No refunds will be issued for requests made after December 5th at noon. 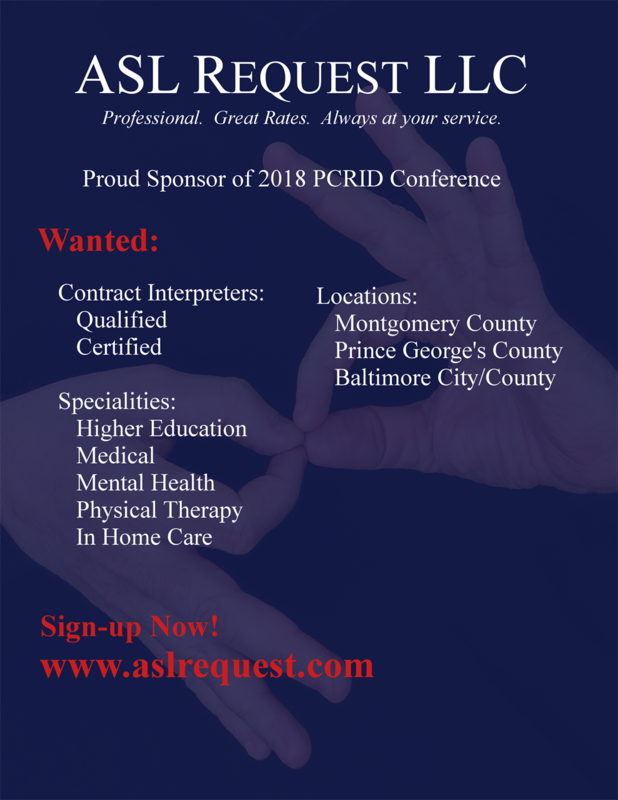 PCRID fosters an environment of mutual respect and inclusion that is free from harassment, bias, and discrimination based on race, color, religion (creed), gender, gender expression, age, national origin (ancestry), disability, marital status, sexual orientation, or military status. 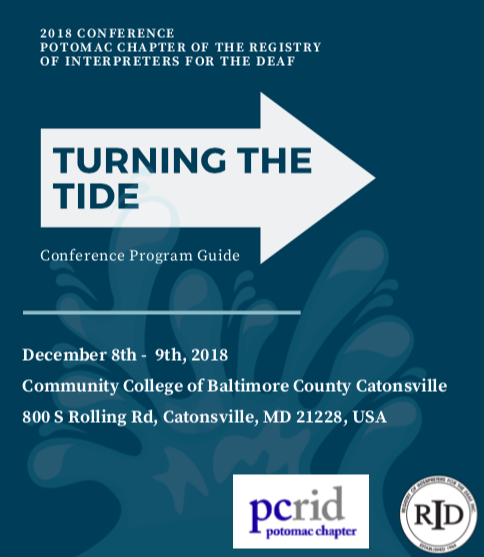 Accordingly, the PCRID conference welcomes an audience of the novice to experienced interpreters, interpreting students, and members of the local deaf community. The conference site is wheelchair accessible and will primarily be conducted in ASL. When registering, please let us know if any other accommodations as defined by the ADA are needed. aj is a teacher, social justice activist, textile artist, and a mom. She hails from Carlsbad, California and has lived practically everywhere, and has made Seattle her home. aj has been actively creating change and bringing new ideas to Seattle’s DeafBlind community for the past 17 years. aj has worked alongside the Seattle DeafBlind community as the forerunners of the famous Protactile Movement. aj co-authored the first article on The Seven Principles of Protactile and is developing a new curriculum to teach Protactile ASL to DeafBlind and sighted people. Most of all, aj strives to connect people and build bridges between communities. Information is a valuable commodity. Information connects people. Information builds bridges between communities. Information is not binary - information is poly cultural. We have a responsibility and duty as human beings to share information so that we may exist together in shared spaces. To recognize our privileges, power dynamics and biases is to romance information as an equal commodity, information through auditorial, visual and tactile means are equal of power; but that is not our reality. Lets’ discuss about how to romance information as if it belonged to everyone and how to live authentically and have healthy communities. 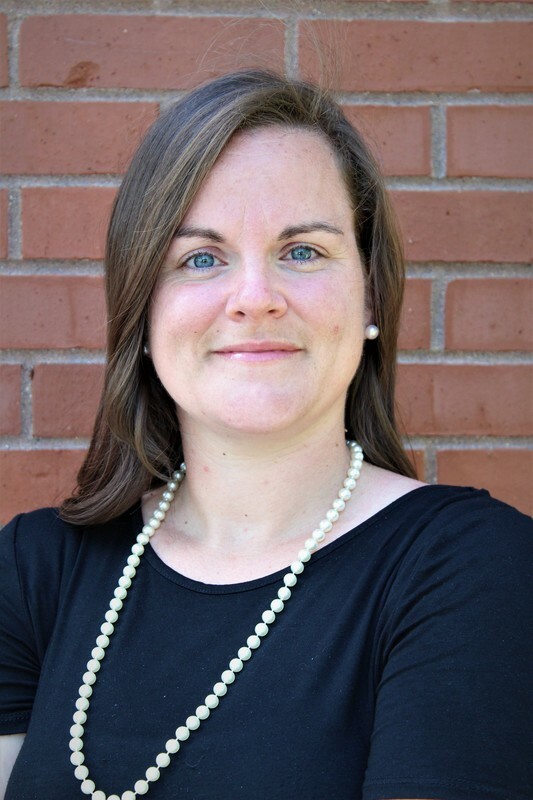 "Utilization and Implementation of Deaf Interpreters in K-12 Schools"
"Deaf Interpreters and Translators; Current Issues & the Way Ahead"
"Being True to Language and Culture"
Jessica Brown, who hails from Missouri, currently works and serves in Fulton, Mo, and surrounding areas. 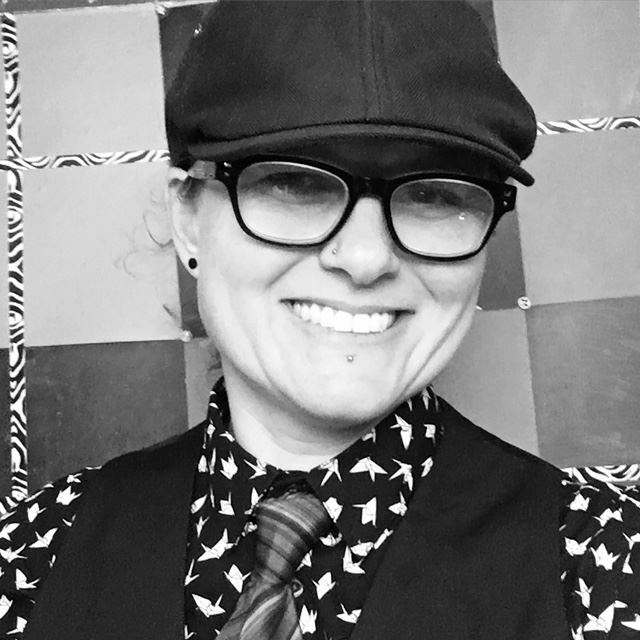 Jessica went to William Woods University in 2005 and received her Bachelor’s degree in History while attending as a student she also managed the ASL Lab as a Liaison at William Woods University. Shortly after she went to Gallaudet University where she was fortunate enough to receive Master’s degree in Sign Language Education in 2015. She also received her MO-BEI CDI certification in 2017 while working as an Interpreter Certification Specialist with Missouri Commission for the Deaf and Hard of Hearing. She is currently a CDI on call interpreter for Missouri School for the Deaf as well as a full time ASL instructor at William Woods University. Most of Jessica’s time is devoted to presenting workshops, providing access to the Deaf community and working with other business avenues such as Positives Action, Org in England. 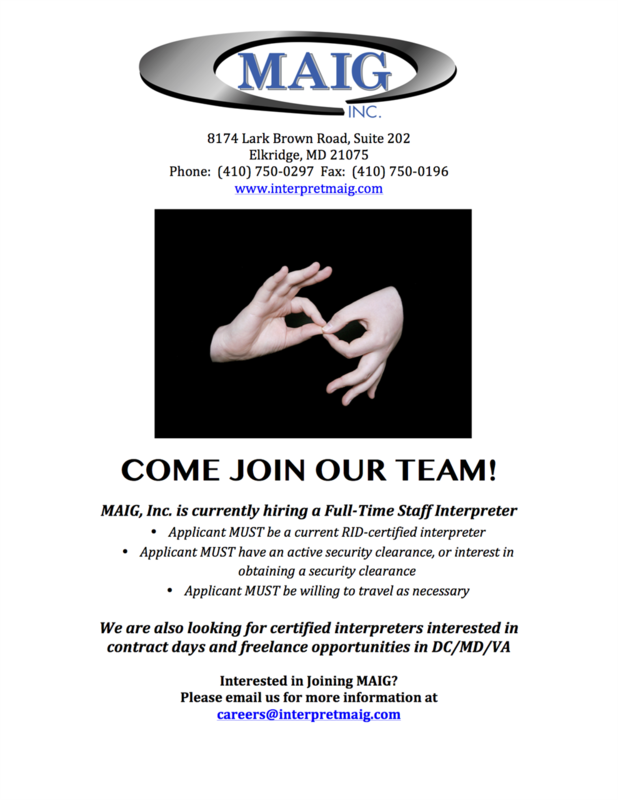 She also screens interpreters to ensure quality services and ASL competency for said organization. With the remainder of her time, she works as a freelance CDI for conferences and various community assignments all over the Midwest. Her favorite settings are the two previously mentioned, as well as DeafBlind where she has happily immersed into. She enjoys spending time with her family and close friends, making connections, lifelong learning, filming and editing videos and traveling fills her restless spirit. Participants will identify importance of using Deaf interpreters in schools with children who are themselves deaf. Participants will evaluate the need for Deaf interpreters in schools. Participants will analyze facts and issues within the education system regarding Deaf interpreters. Historically, DeafBlind people have experienced isolation and oppression, even from members of the Deaf community. With a deeper understanding of Pro Tactile philosophy and attitude, we can bridge this gap. Pro Tactile is the socio-cultural philosophy currently shaping all DeafBlind practices- linguistics, interpersonal, and political. This workshop will focus on how the Deaf and DeafBlind communities can form connections, work, and socialize together in a way that is inclusive and respectful of everyone.This workshop will consist a presentation of new information and perspectives. Parallels in Deaf culture will be used to describe Pro Tactile attitude and philosophy. History and language will also be touched on. Articulate how Pro Tactile is a way of being, a life changing/altering way of interacting with the world, and a community. This step will be ground shifting, changing for those who can make the connection, the leap into a Pro Tactile way of life. Analyze and describe their own attitudes and thinking around Pro Tactile ASL as an existing and emerging language. 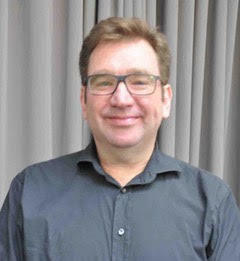 Robert is the Director of Continuing Professional Development and Teaching Fellow at the Deafness Cognition and Language Research Centre, University College London. 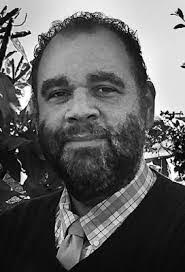 He is a qualified sign language interpreter and translator and has worked as a Deaf interpreter in Australia, the USA and the UK. His research interests along with Deaf interpreters are bilingualism, language contact and minority sign language communities. He is also Coordinator of the World Federation of the Deaf Expert Group on Sign Language and Deaf Studies. He is from Melbourne, Australia and currently lives in the UK. Deaf interpreters and translators are used in different settings and domains (Adam, Carty, & Stone, 2011; Boudreault, 2005; Forestal, 2005), and it is argued that Deaf interpreters and translators as a profession are following a similar trajectory as hearing interpreters followed 30 or 40 years ago, but interpreting and translation are two distinct professions. What are some of the power relations between deaf and non-deaf people working as interpreters and translators? What issues of intersectionality relate to deaf and non-deaf people working as interpreters and translators, and what they bring to various interpreter settings, and what are the various positionalities that relate to those? to discuss the impact of these identities in terms of how these influence positionalities of interpreters? to analyze the structural issues as they relate to deaf and non-deaf people who work as interpreters, and analyze the consequences of these issues. Carla is a Deaf Interpreter and a Licensed Professional Counselor (LPC). She has expertise in providing workshops, consultation, and mental health counseling including working with ASL users. She is passionate about helping people to create self-awareness, self-care, and becoming more connected with themselves, others, and their purposes. Based on the presentation, participants will dive deeper into the work of navigating and managing change. Time will be allotted for small group discussion and activities meant to allow for both introspection and dialogue. By the conclusion of the session, participants will walk away with an action plan for 1) self-care and 2) initiating change on both a personal/individual level as well as at the appropriate system level. Join a PCRID conference committee and receive free or discounted conference registration perks. 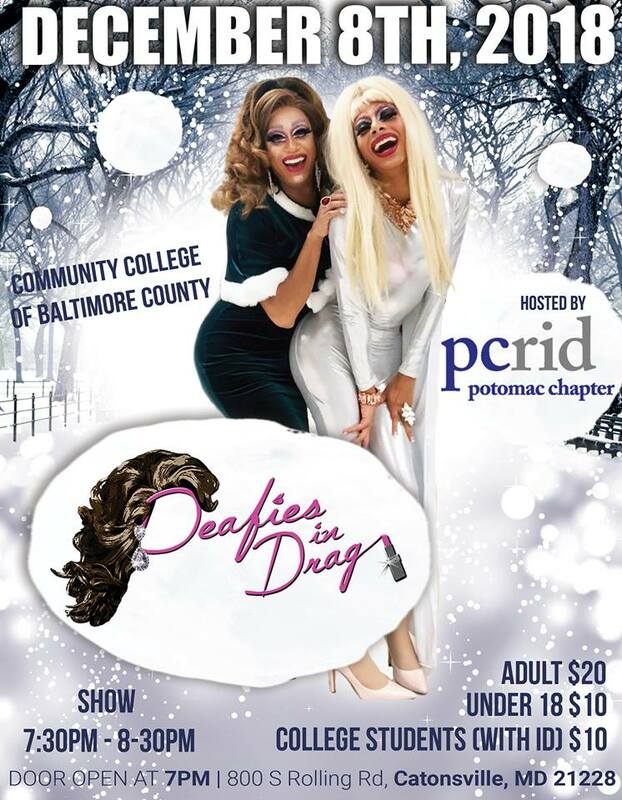 Contact communityrelations@pcrid.org ASAP for more information.